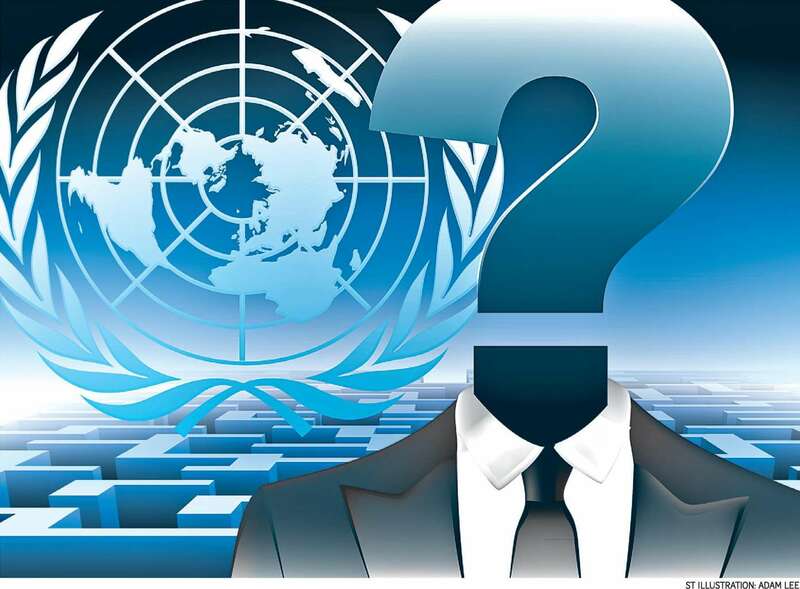 The race to find the ninth Secretary-General of the United Nations is on. Whoever the new leader is, one of his or her challenges will be managing the all-powerful Security Council. The Secretary-General of the United Nations depends on the Security Council, especially its five permanent members, to get elected and to get anything done. This has undermined or paralysed the office in the past, but that could be about to change. In recent weeks, the race to succeed Mr Ban Ki Moon as the ninth Secretary-General of the United Nations has been heating up. It will never, of course, rival the incandescent incoherence of the US presidential election - there are no Trumps or Sanderses to grab headlines and energise or outrage voters. But in UN terms, the current deliberations are more transparent and more interesting than any previous process for selecting the world's diplomat. In the early days of the UN, the very idea of campaigning for the position of Secretary-General was frowned upon. The first occupant, Mr Trygve Lie, never sought the job and complained about it in his memoirs: "Why had this awesome task fallen to a labour lawyer from Norway?" It was only in the 1970s that campaigning became common; by the time Mr Ban ran for the position, South Korea was able to mount a sophisticated multi-year assault. Today we already have six formal candidates - all from Eastern Europe, three of them women - and for the first time there is an official website on which they are listed with their curricula vitae. More candidates are certain to emerge, with the smart money on Latin American women. In another first, there will be presentations by the candidates to the General Assembly and the Security Council. Past selections took place largely in the capitals of the Permanent Five (P5) members of the council. The closest we have had to public briefings were the informal meetings organised a decade ago by the International Peace Academy, across the road from UN Headquarters in New York. Though candidates gritted their teeth and took part, it was clear that their focus was still on Washington, Moscow, Beijing, London and Paris. Though the Secretary-General serves all humanity, his or her relationship with the Security Council and its veto-wielding P5 is the most important aspect of the job. It can be his or her greatest ally or greatest enemy; it is also the focus of what might be the Secretary-General's greatest influence. But to free the Secretary-General to lead the UN and genuinely represent "we the peoples", it is necessary to break the council's stranglehold on the office. As an ally, the Secretary-General can be given extraordinary power by the Security Council. In addition to the day-to-day administrative role of running the UN, this has included responsibility for military operations, sanctions regimes, and special political missions. The Secretary-General is nominal commander-in-chief of 100,000 peacekeepers - though in practice it is more of a coordinating than a commanding function, even if national contingents are wearing blue helmets. Sanctions regimes have also expanded significantly in the past quarter-century, including targeted regimes that focus on specific individuals or specific sectors. Political missions have become even more complex, ranging from good offices and mediation to organising elections and even running entire territories, as the Secretary-General essentially did in Kosovo and Timor Leste. Where things tend to break down is when the council's mandate to the Secretary-General is broad but vague, as it was in Iraq, or where words are not matched by resources, as they were not prior to the genocide in Rwanda. Even so, it is extremely hard for the Secretary-General to say "no" to the council. FOE Such deference might seem craven, but one can sympathise with the Secretary-General's desire not to make an enemy of the Security Council. An aspiring Secretary-General must, therefore, ensure that he or she has not offended members of the council, in particular the P5. Indeed, the best secretaries-general appear to have been those appointed almost by accident: Mr Dag Hammarskjöld was a little-known Swedish Cabinet minister who went on to invent peacekeeping. Mr Kofi Annan was originally seen as a modest UN insider who was "America's man". Yet he also expanded the role of the office, championing the Responsibility to Protect, the Millennium Development Goals, and declaring the US war in Iraq "illegal". Mr Annan's run-in with one of the P5 came at the end of his tenure, but three of his predecessors were not so lucky. Mr Trygve Lie ended up resigning in 1952 after his clash with the Soviet Union. Dr Kurt Waldheim might have been given a third term but for 16 Chinese vetoes in 1981. And Dr Boutros Boutros-Ghali, who passed away last month, was essentially dismissed by the US in 1996. The process, therefore, seems designed not to choose or encourage an ambitious Secretary-General but a modest one.During the selection of Mr Ban, US Ambassador John Bolton was clear about his own vision of the role: "The Secretary- General is the chief administrative officer for the organisation and we want somebody who will follow that job description. Chief. Administrative. Officer." There are other ways in which the council can make a Secretary-General's life miserable, of course. Within the UN, "Secretary-General" is often abbreviated to "SG". Little wonder that some of those holding the office were known to speculate that this sometimes might as well stand for "scapegoat". A rare piece of leverage the Secretary-General has over the council is the power to influence its agenda - or at least to embarrass its members. Under Article 99 of the Charter, the Secretary-General is authorised to "bring to the attention of the Security Council any matter which in his opinion may threaten the maintenance of international peace and security". These apparently innocuous words form the basis for the Secretary-General's independent political role. Interestingly, they have only been used in formal terms twice: in 1960 with regard to the Congo, and in 1979 during the Teheran hostage incident. Nevertheless, secretaries-general have drawn on the implicit authority to inform themselves and offer good offices during crises ranging from Korea in 1950 to ongoing efforts in Cyprus, Kashmir, Venezuela- Guyana, and elsewhere. Such power - and the bully pulpit that the Secretary-General can command on the world stage - might be used to call out an intransigent council or an unreasonable member of the P5. Yet that has tended not to happen, because the Secretary-General continues to need the council and the support of the P5 in particular. The modest reforms in the procedure to select the next Secretary-General are, to say the least, underwhelming. Bolder suggestions, such as requiring the council to shortlist more than one candidate for the General Assembly to consider, were quickly shot down by the P5. But there is one small change that might make a big difference. The Charter provides that the council recommends the candidate to the General Assembly - yet it says nothing about the duration of his or her appointment. A practice has arisen whereby candidates are proposed for one five-year term with the possibility of a second, but this is not set in stone. It would be open to the General Assembly to appoint the recommended candidate but stipulate a longer term - seven years, say - with no possibility of renewal. Such a move would be controversial, but would ensure that the ninth Secretary-General is at least liberated from any concern about reappointment. For although it remains hard to see how a truly great Secretary-General could get appointed, it is possible that once in office he or she might become great. In the absence of such a change, the Security Council and the Secretary-General will continue to exist in an uneasy tension. The Secretary-General will depend on the council for its support; the council in turn will look to the Secretary-General for leadership of the UN - provided that it is not in a direction that the council does not wish to follow. The writer is Dean of the National University of Singapore Faculty of Law. His books include Law And Practice Of The United Nations (with Ian Johnstone and David M. Malone), the second edition of which will be published by Oxford University Press in May.